Get inspired, gain insights, and experience the wisdom power of Buddha Manjushri. 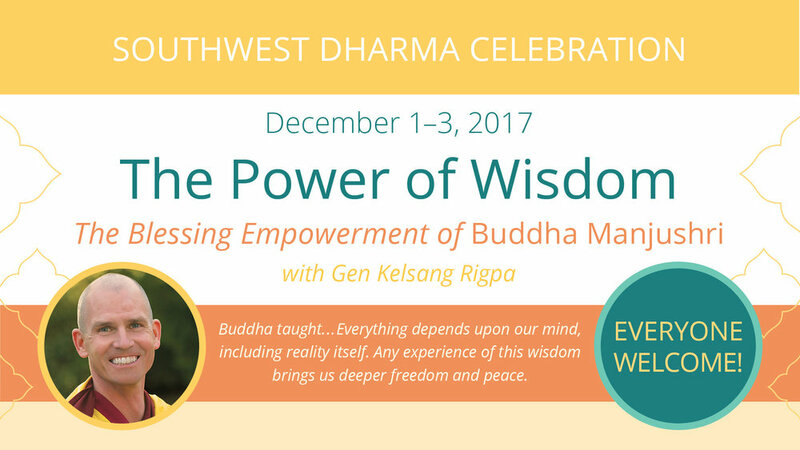 Join us for this year’s Southwest Dharma Celebration as we focus on the wisdom power of Buddha Manjushri. Learn how his blessings can strengthen your personal spiritual practice, bring peace into your life, and create positive change in the world. Spiritual practitioners from around the Southwest come together for this special weekend to awaken their wisdom and make powerful prayers for World Peace. Gen Rigpa is the Western US National Spiritual Director of the NKT-IKBU. 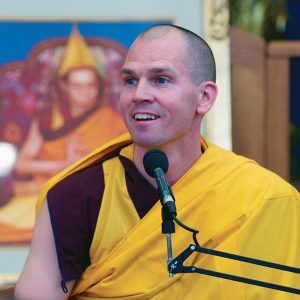 He is also the Resident Teacher at Kadampa Meditation Center Hollywood. He will grant the blessing empowerment of Buddha Manjushri and give teachings. Gen Rigpa’s heartfelt and practical teachings are presented with warmth and humor, making them accessible to everyone. He shows the joy of living a spiritual life, and is an inspiring example of Modern Buddhism in practice. Through his clear presentation, he is able to help student discover for themselves how to integrate these timeless teachings into our modern world, making everyday life joyful and meaningful.